Born on September 13, 1973 in New Orleans, Louisiana, Cedric Levon Richmond holds a BA from Morehouse College (1995) and a JD from the Tulane University School of Law (1998). He is also a graduate of the John F. Kennedy School of Government’s Executive Education Program. Richmond, a Democrat, launched his political career in 2000 when he began an eight-year stint in the Louisiana State House of Representatives. In 2010 he was elected to represent Louisiana’s 2nd Congressional District in the U.S. House, where he continues to serve as a member of the Congressional Black Caucus (CBC). A great admirer of President Barack Obama, Richmond, in a 2014 campaign ad for incumbent U.S. Senator Mary Landrieu of Louisiana, lamented that Republicans had theretofore “shown our president so much disrespect.” “They said he wasn’t a U.S. citizen, they even sued him and [would like to] impeach him,” Richmond added. By Richmond’s calculus, Voter ID laws constitute “very, very alarming” and highly unjust “hurdles and obstacles” that interfere with the ability of nonwhite minorities to vote in political elections. In March 2015, he joined fellow Democrats in introducing a Voter Empowerment Act (VEA) that would allow people to become registered voters online or by telephone. This, said Richmond, would help “safeguard the right to vote for every American,” “remov[e] unnecessary barriers between voters and the ballot box,” and “utiliz[e] modern technology to bring our elections into the 21st Century.” Moreover, the VEA called for permitting convicted felons to vote unless they were in prison at the time of an election, and requiring that federal election cycles everywhere include at least 15 consecutive days of early voting periods. against mandating that welfare recipients, in exchange for their benefits, be required to work or to at least look for employment (2013). For additional information on Richmond’s voting record on a range of key issues during his years in Congress, click here. 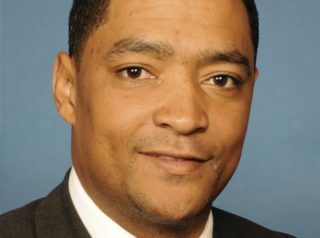 For more information on Cedric Richmond, click here. Further Reading: “Cedric Richmond” (Votesmart.org); “Black Caucus Chair Accuses Senate Committee of Putting Him at ‘Back of the Bus’” (Daily Caller, 1-11-2017); “Democratic Rep: Citing Uncomfortable Data [regarding homicide rates] Is White Privilege” (Daily Caller, 6-27-2017); “Rep. Richmond: The Black Community Has Lost under ‘Willfully Uninformed’ Trump” (Daily Caller, 8-21-2017); “Black Caucus Leader: John Kelly Needs a History Lesson” (Daily Caller, 10-31-2017). “Cedric Richmond on Crime” (OnTheIssues.org); “Issue Position: Stamping out Crime by Improving Public Safety” (Votesmart.org). “House Dem: Use Skilled Immigrants As a Bargaining Chip for Amnesty” (Washington Examiner, 2-5-2013); “Comprehensive Immigration Reform Is Consistent with Our Values and Greatness” (By Cedric Richmond, The Hill, 2-12-2013). “Terrorism Denial by Dhimmi Democrats” (by Daniel Greenfield, 6-26-2012). “Much of Congressional Black Caucus Ignoring Benjamin Netanyahu’s Speech” (Breitbart.com, 2-12-2015); “Don’t Disrespect Our President, Black Lawmakers Tell Netanyahu” (Politico, 2-10-2015); “56 Democrats to Skip Netanyahu Speech to Congress” (The Hill, 2-9-2015). “Cedric Richmond, 170 Other Democrats, Introduce Bill to Expand Voting Rights Including Online Registration” (NOLA.com, 3-19-2015); Text of The Voter Empowerment Act. Richmond’s Voting Record on: Abortion, Education, Energy & Oil, and Welfare & Poverty (Votesmart.org and OnTheIssues.org).